For the first time since Arthur was born, we spent Christmas Eve at home this year. And it was wonderful. The day began with a treasure hunt, starting with a clue in the last advent calendar pocket and ending with Arthur’s Christmas Eve bag – complete with new pyjamas and bedtime books, a bag of reindeer food, and a little elf for him to share the Christmas secrets with that by this time were almost exploding from his head. We settled down after that with a fire and a movie, Arthur building lego and me putting the finishing touches to his birthday Peter Pan costume whilst Leigh power washed the deck ready for his party! There are definitely challenges to having a birthday to consider so soon after Christmas, but having a few hours to chill and get things sorted took the pressure off a bit. There were still Christmas jobs to be done too though, and after a lunch of cheese and mince pies Arthur and I went off to deliver the last of our cards to the neighbours. He even treated one of them to his rendition of Rudolph the Red Nosed Reindeer – nothing like a bit of impromptu carolling! I had to pop down anyway just to make sure everything was ok, and it was the perfect opportunity to try out Arthur’s pom pom snowballs. And then ran off our excitement on the green overlooking the sea. Finally it was back home for some final Christmas baking followed by a festive family supper of pan fried local gurnard. Yum! The next morning we were downstairs before dawn so that a very excited little boy could open his stocking. He especially loved the bow and arrow he had requested in his letter to Santa. We opened some bigger gifts too, including the humungous beanbag we’d bought Arthur for his reading corner, before heading over to my parents’ to enjoy the rest of the festivities with family. 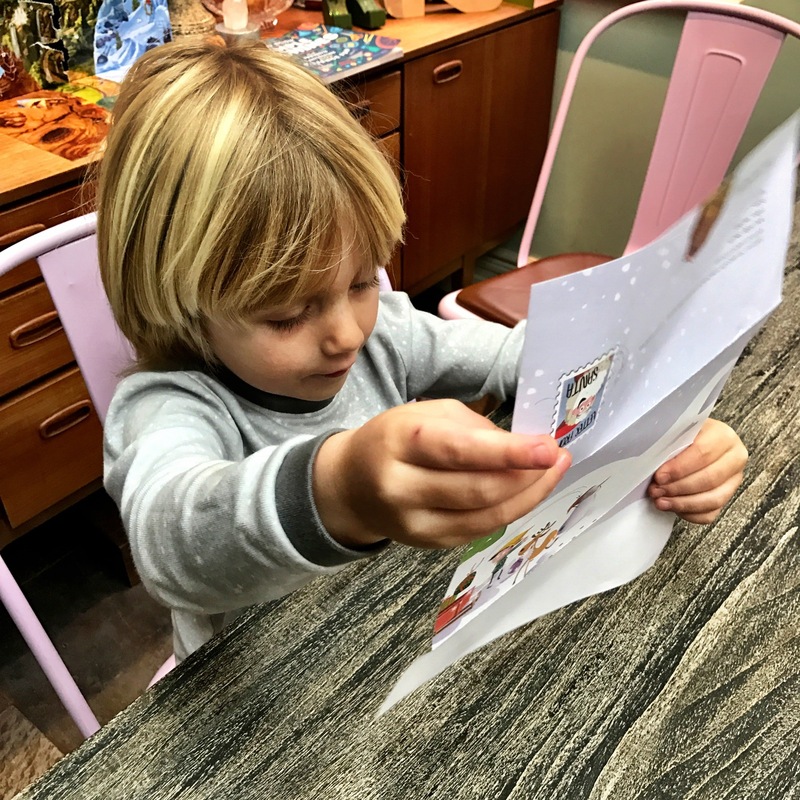 This entry was posted in Sophie is parenting, Uncategorized and tagged Childhood, Christmas, family, home, magic, presents, traditions on December 29, 2016 by sophieblovett. We went to the most magical grotto today: having met one Santa on the train at the weekend this was another quite lovely experience. The wait was longer than we expected, and the boys were bouncing off the walls by the time we got in. Watching them, though, transfixed by the fairytale forest and hanging on every word spoken by the youthful elves as they readied themselves to meet the man himself, was a powerful reminder of just how young and impressionable they are. It is going to be a very special Christmas. 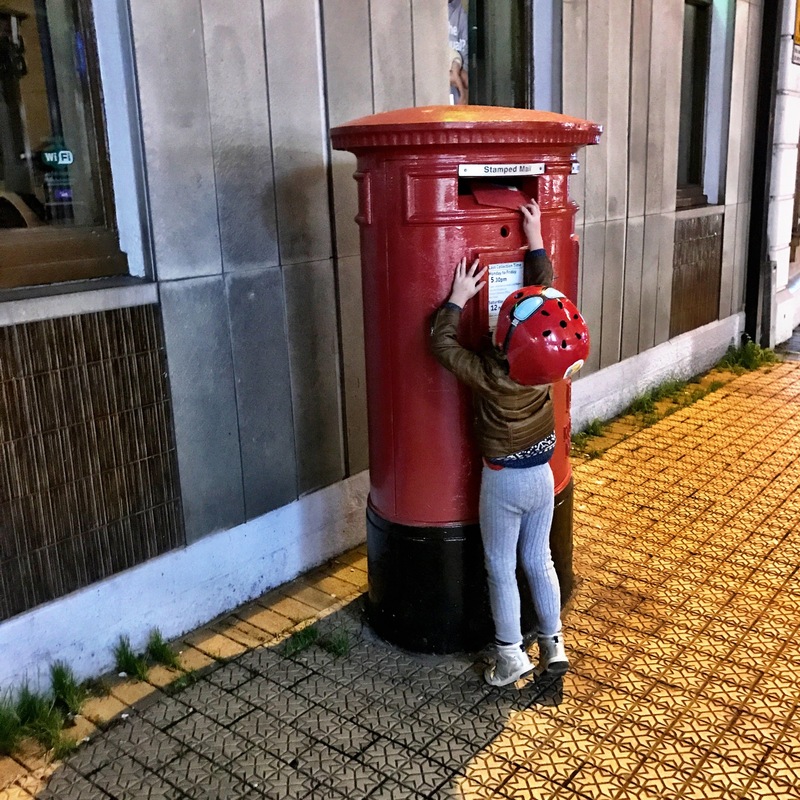 This entry was posted in Sophie is parenting, Sophie is photographing, Uncategorized and tagged Childhood, Christmas, friendship, magic, Santa on December 21, 2016 by sophieblovett. The countdown to Christmas has been speeding along this last couple of weeks, accelerated by the party planning for the celebrations of Arthur’s fourth birthday three days later. I genuinely wouldn’t have him any other way, but a different birth month? I think I’d take it. That aside, the whole rapidly approaching festive season has brought with it all sorts of interesting discussion topics – for me and Leigh as well as for us and Arthur. First off there’s the whole Santa thing. I love the magic of the Santa myth, and got totally sucked into it as a kid. I can see that, with his powerful imagination, it wouldn’t take much for Arthur to get completely swept away by it all too. But I don’t want to lie to him, and I don’t want his trust to be shattered when inevitably the truth is revealed. So I am trying to find a middle ground – to get him to understand that imagination can be just as real as ‘truth’, and that what you choose to believe in the moment can totally shape your experience. We have indulged in the ritual of writing to Santa, sending the letter off in the post and receiving a ‘reply’ a few weeks later. 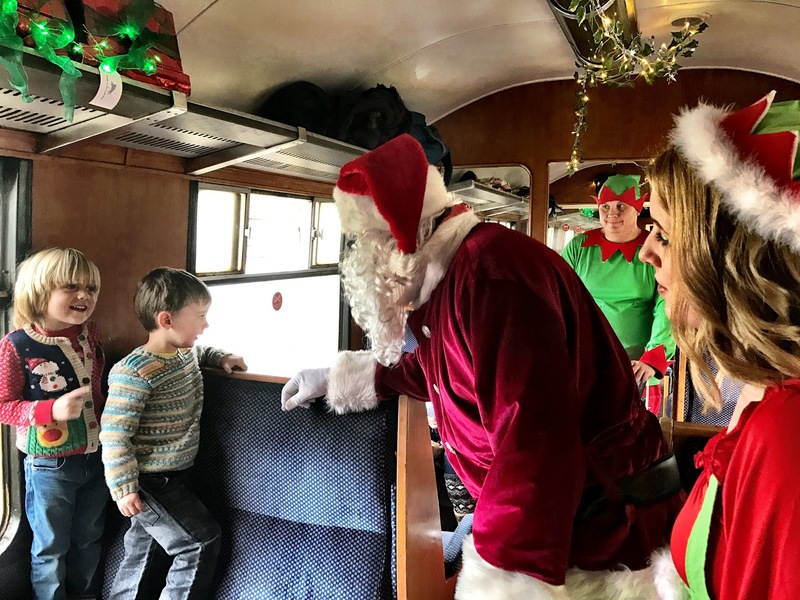 We’ve been to visit Father Christmas too – on the Santa Express on our local steam train line. But Arthur is aware that there is not just one Father Christmas, and we have taken to referring to his various incarnations as ‘agents of Santa’ – physical manifestations of the spirit of giving that is an important part of this time of year. I’m hoping that when the time comes it won’t be too much of a shift for Arthur to see us as agents of Santa too, and to accept that the truth behind the games we play is rather more abstract. To be honest my main concern at the moment is that Arthur is a little bit too obsessed with the giving of gifts – or rather the receiving of them. For the last couple of years the whole festive period was a bit of a blur, with a seemingly never-ending flow of presents for Christmas and then his birthday. Now that Arthur’s a little bit older I’m trying to pre-empt this year’s bounty by engaging him in the process of gifting to others. We started with cards, which we made together – heading to the woods to collect ferns which we brought back and used to print little Christmas trees, decorating them with glitter and gemstones. Arthur helped me take these to the post office, along with parcels for family and friends – which hopefully in some way will give him a context for his excitement when yet another delivery arrives at home! I’ve tried to get him to think beyond our friends and family too, to the wider context of goodwill at Christmas time. This is something we’ve tied into the Santa myth: I am utterly uncomfortable with the manipulative rhetoric around the idea that Santa or his elves are watching his behaviour, that if he’s ‘naughty’ there won’t be any presents, but I am trying to engage him with the notion that this is generally a time of year for taking stock, realising how lucky we are, and being especially kind to the people around us. This has of course brought us back to the original Christmas story, one which for me is as much of a metaphor as Santa given that Leigh and I are Humanist rather than Christian in our beliefs, but one which I think it is important for Arthur to know about. He started asking questions when we were at a christening last weekend, curious to know who Jesus was. So we told him what we could about what Christians believe, and found a couple of books at the library to help bring the story to life a bit more. We have even had a go at making our own nativity – something I have never done before, but which Arthur has really loved – and well and truly made his own. He was interested in the characters, in the angel and the shepherds and the wise men, but as soon as he started to understand that they had all come to see the Baby Jesus he wanted to give his favourite toys a chance to meet this special baby too. Soon the stable was inundated with lego superheroes and Star Wars characters, arriving in their spaceships to see what all the fuss was about. I was wholly resistant to this at first, dismissing his hijacking of the Christmas story and wanting to make sure he understood the ‘real’ version. But then I realised that perhaps he’d actually found his own truth at the centre of it all – and that, ultimately, is what this is all about. This entry was posted in Sophie is educating, Sophie is parenting, Uncategorized and tagged belief, Christmas, presents, religion, Santa, storytelling, truth, unschooling on December 19, 2016 by sophieblovett. Christmas has been creeping in determinedly to our house this week. We spied a little tree when we were out and about last weekend, which Arthur and I decided would be perfect for my study – we spend so much time there after all, writing and playing by the fireside, that it’s nice to make it festive. It was there Arthur wrote his very first letter to Santa this week. Well, I say wrote – he dictated, and I scribed the words. He added pictures too – the bow and arrow and the spaceship, and a little self-portrait with a woolly hat. We actually made another tree too, this time for Arthur’s bedroom. Again it’s somewhere he spends a lot of time – often playing there for at least an hour in the mornings before he emerges to start the day. There was a large cardboard box waiting to be recycled in the kitchen, so we decided to put it to better use. So far it is decorated with a fairy and some glow stars, but creating some sparkly baubles is top of our list for the week to come. Alongside all this, my mind has been mulling over presents. it’s not just Christmas we have to prepare for – Arthur’s birthday is only three days later, so I need to get myself organised for that too! 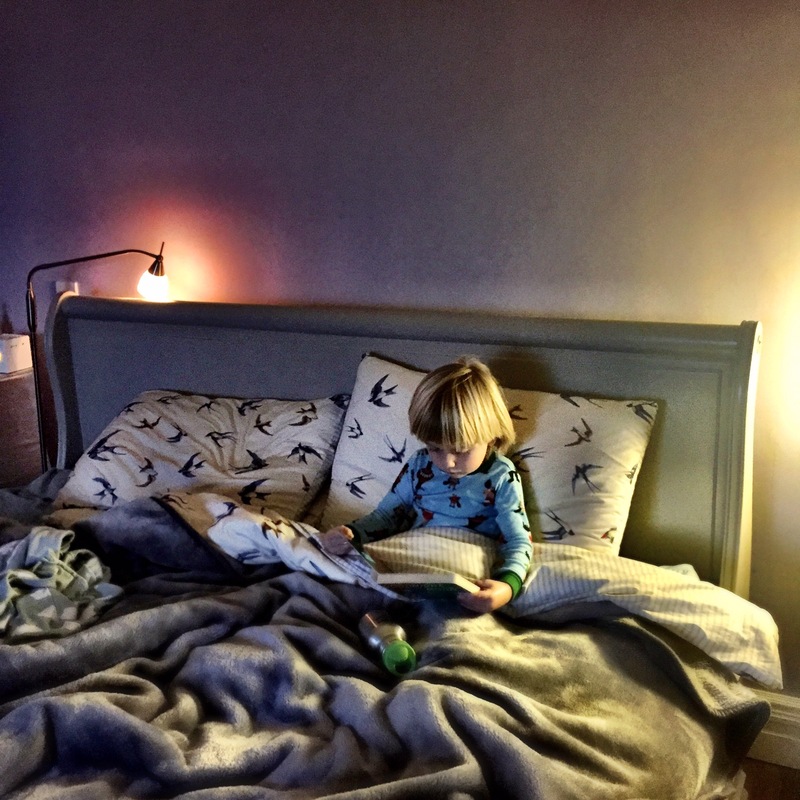 I’m really keen to add to his inspiration bank at home – it feels especially important because he spends so much time there. His interests have flourished over the past couple of months, so he’s given me lots of ideas. Arthur is developing a real love for poetry, which began with listening to poems read by Daddy during his bedtime baths. I love the idea of this book, which has a wonderful selection of classic poems, one for every night of the year. Whilst Arthur’s social skills are coming on in leaps and bounds, he is also very happy to play alone. Recently, though, he’s enjoyed chatting away to his dolly – a Waldorf doll I made him for his first birthday. I think he’s going to love this Finn doll, from the makers of the child-friendly Lottie. Especially because he’s small enough to not only play with at home, but also to come out and about with us on our adventures. Arthur discovered marbles a couple of months ago, and we’ve experimented with making marble runs from cardboard and networks of tubes in the garden. This set from Hape looks incredible though – giving him the tools to create his own structures to send his marbles whizzing round. He’s really into building too, so I think he’ll relish the challenge. This love for building has recently exploded with the discovery of ‘grown-up’ lego. He still enjoys his duplo, which we’ve moved to his room to keep him entertained for those early-morning wake-ups, but he will spend literally hours piecing together tiny bricks to give shape to the forms in his imagination. His selection of mini figures is essential to the process too, inspiring him to create new structures for them to inhabit. I reckon this set of community figures would be a brilliant addition to his kit, and give him all sorts of new ideas about what to build. Arthur is always keen to help in the kitchen, especially if it involves cutting things. We bought him a child’s knife last year, but the blade is really not sharp enough to be much use. This chef set, which includes a peeler too, looks much more effective. And might just have the added bonus of him taking over peeling the potatoes! I know that too much of a focus on ‘stuff’ isn’t healthy, but I really do take pleasure in selecting gifts for Arthur which he will enjoy and which will help him learn. (And I’m sure I can help Santa find a fire engine and a spaceship and a bow and arrow too). I can’t wait for the start of December so Christmas can begin in earnest: choosing and decorating our main tree, and putting up Arthur’s advent calendar! 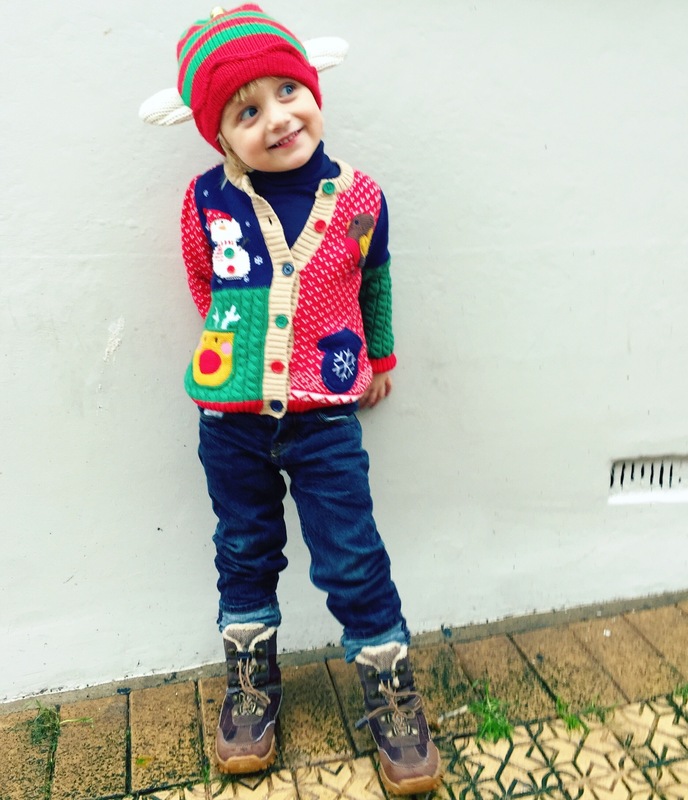 This entry was posted in Sophie is educating, Sophie is parenting, Uncategorized and tagged Christmas, Christmas shopping, gifts for a four year old, learning, presents, shopping, slow toys, unschooling on November 26, 2016 by sophieblovett. Arthur loved his first experience of snow: its slipperiness between his fingers, its stomp beneath his boots, its iciness on his tongue. I love how he threw himself so wholeheartedly, as he does, into the new sensations, soaking it all up with glee and concentration. We had all thought that snow was pretty much guaranteed on this trip, but the weather had other ideas. 18 degrees celsius on Christmas Day in New York anyone? It didn’t let us down entirely though, and for that I am very grateful. 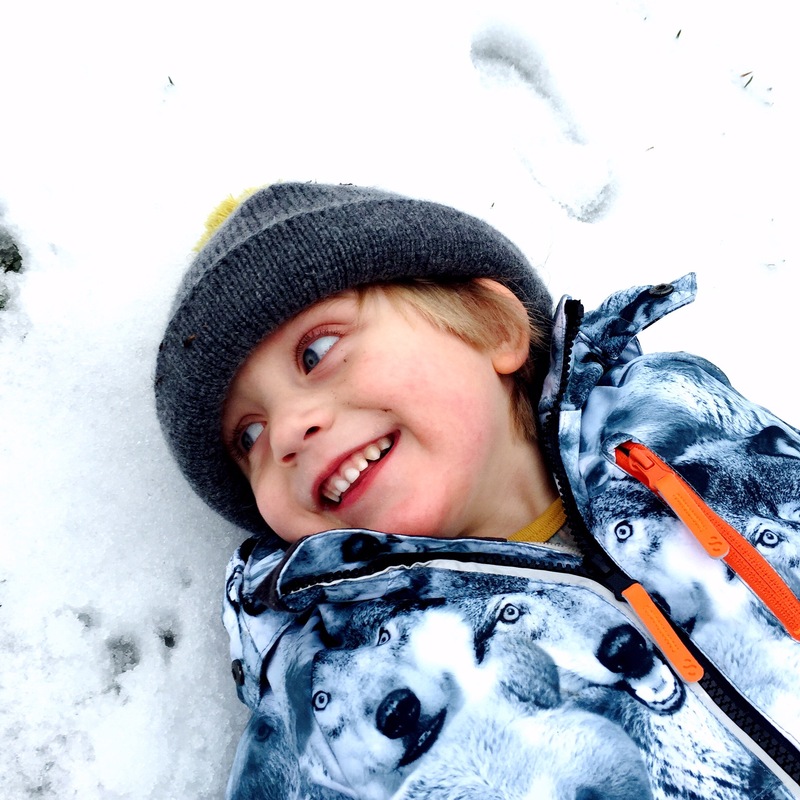 This entry was posted in Sophie is parenting, Sophie is photographing and tagged Christmas, New York, snow, the 52 project, toddler on January 5, 2016 by sophieblovett. Arthur hasn’t been very well the past couple of weeks. Nothing serious, but high fevers and sleepless nights and general grouchiness that made the days all melt into each other whilst we hunkered down and waited for him to get better. It was Wednesday before I realised I hadn’t posted last Sunday’s photo, so here’s a catch up one now. Having spent the first two years of his life sleeping in or next to our bed, it had been months since he’d joined us for anything other than morning cuddles, but I found myself wanting him right there so I could check on him – besides, when he was alone he was waking up every hour or so whimpering and that was rather hard to bear. There was something very special about snuggling up with him again, and it was almost even worth the lack of sleep – though it’s amazing how hard sleep deprivation is to cope with when you’re not used to it! Fortunately this weekend Arthur was back to his usual cheeky self. Which was handy as there was some serious getting into the festive spirit to be done! Yesterday was Brixham’s Christmas light switch on with lantern parade and fireworks which we braved the wind and the rain to enjoy with lots of other hardy locals, and today we went to get our tree. We went up to Ashburton where my sister in law’s family has a Christmas tree farm. The wind was still blowing pretty hard, but that didn’t deter us from our mission. 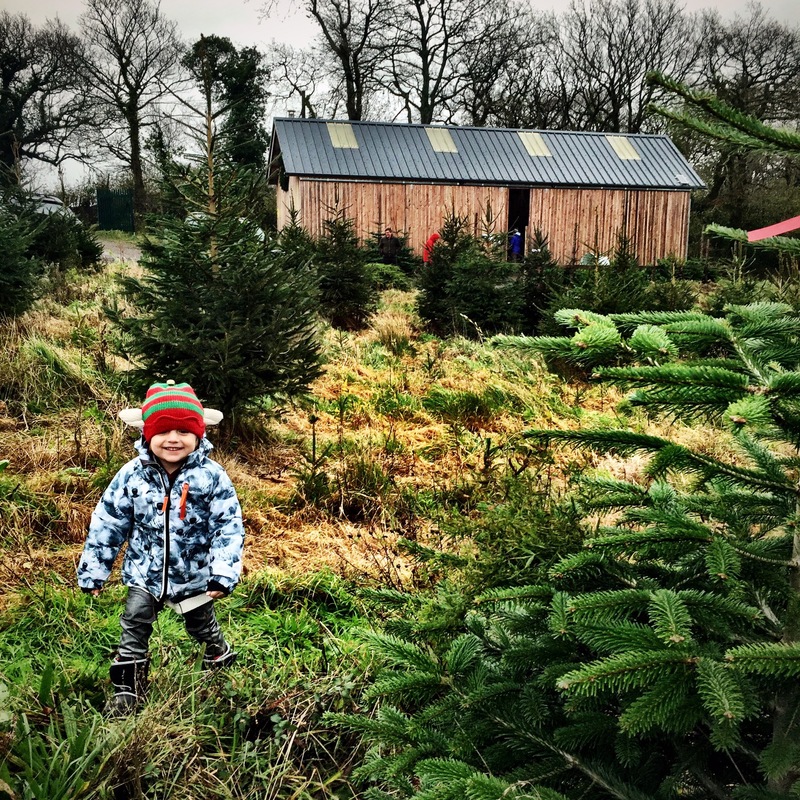 It was magical to be able to romp through a field of trees to choose our perfect one, and Arthur was so excited as we cut it down, wrapped it up and put it on the car to take it home. I have a feeling this Christmas is going to be very special. 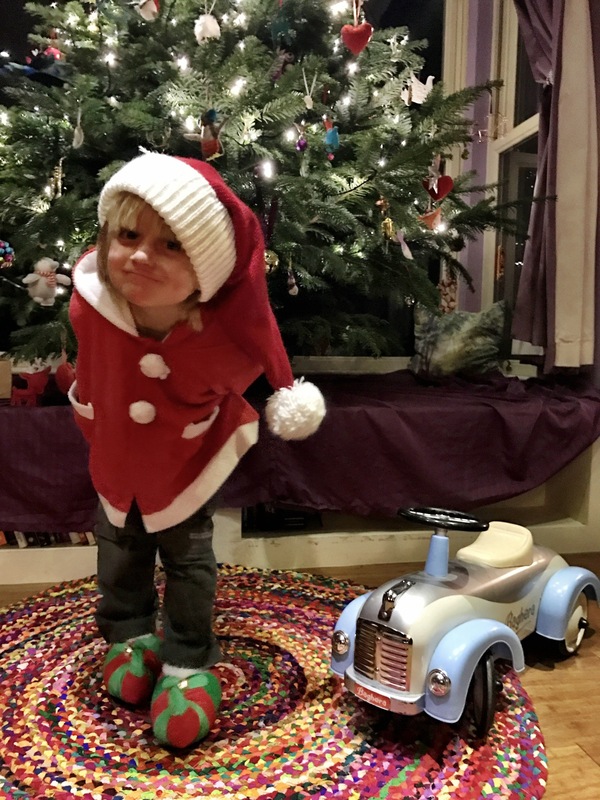 This entry was posted in Sophie is parenting, Sophie is photographing and tagged Ashburton christmas trees, Christmas, Christmas tree, co-sleeping, sickness, toddler on November 29, 2015 by sophieblovett.